Wow! $15K under market. Last 2 sales of this unit were $485K and $488K. This is the best value in Verona! Amazing views from every room of McClellen Reservoir, the Highline Canal, and open space w trail system. Soaring 10' ceilings make this unit open and bright! 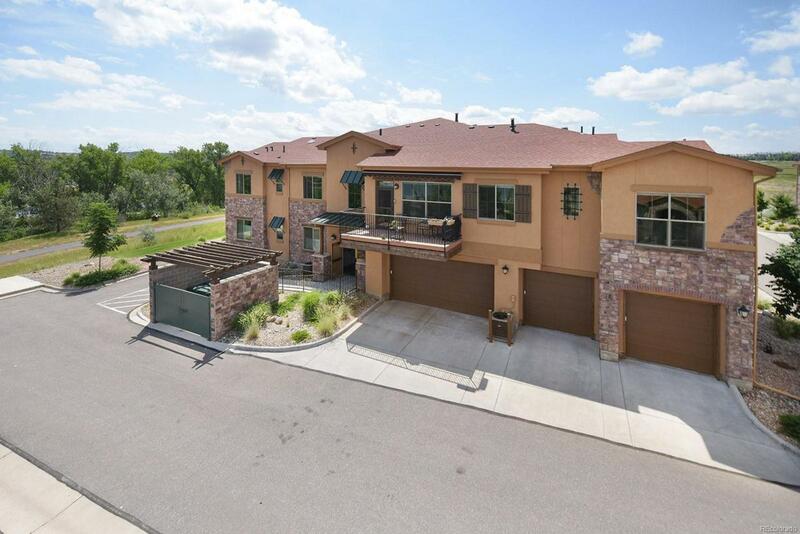 Handscraped 6" plank flooring, gorgeous kitchen w/ granite, custom backsplash, stainless suite including gas range, oversized 42" cabinetry, and expansive dining area make this home perfect for just you or company. Guest room comes complete with easily accessed bath w/ walk- in shower and double vanity. Huge master w/ tray ceilings, private 5 piece bath with large custom tile and after build glass door. Tankless water heater means instantly hot and never running out of hot water. Largest deck in the complex overlooking lake w/ retractable awning. Elevator access so no stairs. Awesome view out every window. Very active community and social events available. Riding/walking trails abound. 55+ Community. Buyer to verify all.